Ok so the full name of this game is called Downhill Pakoon! 2.Many Unlimited 2009... Let's just call it Pakoon 2 as this is what most gamers know it as. 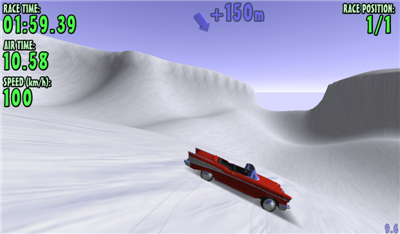 It's an interesting 3D car physics downhill racing game. It has a good menu system with usual screen and sound settings to adjust with a couple of nice little graphic effects, press E when playing. 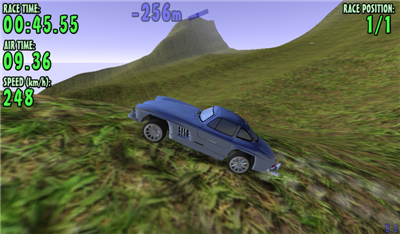 This freeware game was made by Mikko Oksalahti AKA Metal Oxide and is a worthy download if you're into your car games. There's 2 game modes, Single player and Multiplayer with 3 race modes, Speedrace, Slalom and Airtime, self explanatory really. 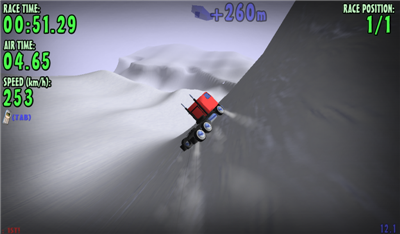 You have a choice of 7 global areas to race plus 7 vehicles including a truck to test your downhill abilities. Don't let the vehicles fool you by looks, some handle better than others and you'll be surprised which one handles the best. I remember the original Pakoon game back in the day and Pakoon 2 was a big leap forward. 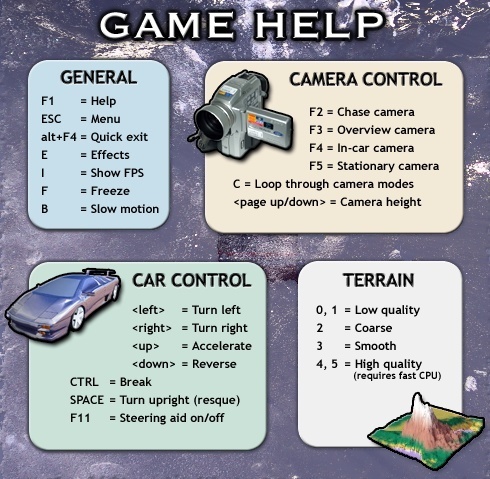 This game holds up very well in the graphics department and at 27mb, it's a worthy download for some free fun plus the source code is available for C++/Visual Studio if you'd like to try your hand at making any changes or a completely new game. Just a little tip when playing, don't go for the big jumps. Don't forget to check out all the other freeware games on offer from the website. They're all pretty good. The file download is a self extracting zip file. Place it in a new folder, unzip it into that folder, then install the exe file.